Enhance your natural lashes with diego dalla palma Lash Booster Ciglione Mascara, a volumising and lash-lengthening formula that promotes maximum curve appeal. 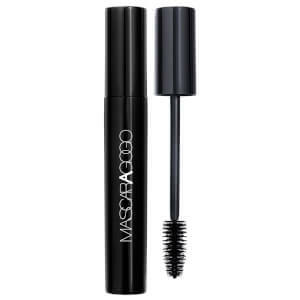 Combining an innovative shaped brush with a creamy, jet black formula, the mascara effortlessly coats every lash and delivers 5-in-1 benefits: boosting, lengthening, volumising, curling and extreme black. Maximising eyelashes without weighing them down, the glossy black mascara will define and shape lashes whilst lengthening strengthening, protecting and delivering anti-ageing properties with a synergy of three actives (Vitaminised Matrikine, Flavonoid extracted from Lemon, and Olive Leaf extract). Lashes look longer, volumised and more defined.